It was a tough task to pick the top three essays from so many great entries! Congratulations to our winners! As students we are not taught that an essay is composed of both content and style. So how do we develop this skill before applying to university? We received many great entries which made it tough to pick the top three essays. Congratulations to our winners! 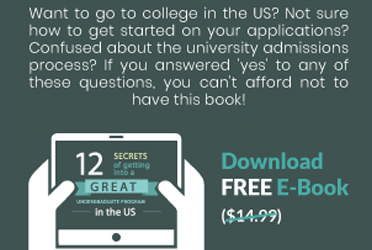 Scared of those college application essays that must be written if you're applying to university abroad? Start early, write numerous drafts, and choose a topic that allows you to talk about yourself, advises University of Chicago rising freshman Hassaan Ejaz. The essay shouldn’t necessarily be a “Here is why I want to be a lawyer essay,” but there should be some indication as to why you are interested in a legal career. Tell the admissions committee something about yourself and your life. Use prose to draw readers in and keep them interested, says Derek Meeker, a senior law school consultant. Writing your university application essay doesn't mean creating crazy extra-curricular experiences - just be yourself - says Yale University rising freshman Sonali Chauhan.